I a recent post, I wrote about recommendations for uploads to YouTube. Soon thereafter, I thought about the types of video (via settings) and the various Samsung Galaxy S5 video qualities that were being produced and thought that I’d check out the settings for those. I will break the comparison down between the primary (rear-facing) and secondary (or front-facing) cameras. I will use the Linux command line tool ‘ffmpeg’ to pull these statistics off of each video. 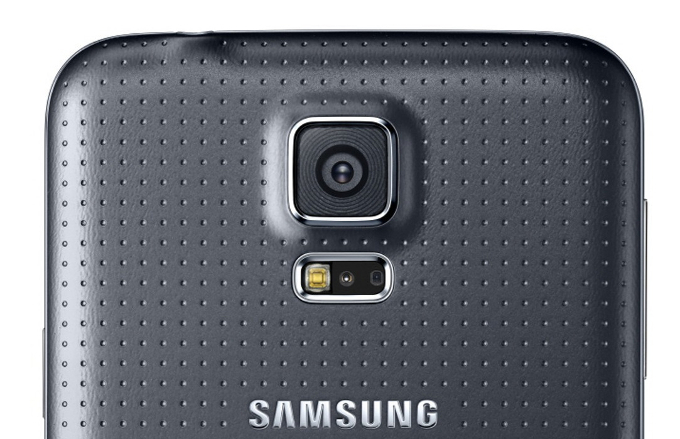 There are several ‘Modes’ that the S5 has for its rear-facing camera. These modes are normal, MMS, slow, fast, and smooth. The normal mode is for generic video recording; MMS is for multimedia messaging; slow, like you’d expect, slows the video down; fast, like you expect, speeds the video pace; smooth increases the frame rate so pans and fast motion seem more like how your natural vision perceives motion. We’ll tackle them one at a time. In ‘normal’ mode, there are four qualities of image based upon resolution. Let’s address these in order from lowest to best quality. The standard quality is VGA and is in 4:3 ratio. Anyone older than 15 remembers this as the standard, old television style of viewing. The resolution for this style is 640×480 (also known as 480p). The characteristics of video taken at this format is given in the table below. You can see video recorded (and uploaded to my YouTube channel). The video is clear and the audio is clean (it’s of the same quality as each of the succeeding video qualities). For comparison sake, one minute of video would be about 23.78 megabytes (MB). The next video size, HD, is actually recorded at 1280×720 (resolution). Most of know this as 720p. This was the quality of the first of the widescreen HD televisions with a 16:9 ratio. Cinema made the transition to this resolution because our field of view is wider than tall. There is a significant improvement in video bitrate, but (other than resolution) the video and audio qualities all remain the same. The video qualities are visible below in the second table. With little viewing, it’s clear that the detail is much greater. In fact, there’s an exact factor of 3 times the number of pixels in each frame. For another point of comparison, one minute of HD quality video is 86.44 MB. The mode marked as ‘Full HD’ is 1920×1080 resolution, also known as 1080p. This is the video quality of blu-ray discs and hi-definition streaming video from NetFlix. Again, this video has proportion of 16:9 and a significant increase in the quality of the video is visible because there is a 2.25-fold increase in the number of pixels from 720p video. Video qualities are visible in Table 3. Again, there’s a clear increase in the video bitrate, but all the other qualities of the video remain the same. The Ultra HD mode records in resolution of 3840×2160 (otherwise known as 2160p or 4K). This is called 4K because the number of pixels in this format is four times that of full HD (1080p) video. Although there are so many more pixels, there is a slight decrease in the frame rate manifesting itself in a minor fuzziness (much like 24fps vs 29.97fps videos–although not quite as visible). The bitrate explodes, too. The bitrate is almost three times that of 1080p from this phone. But, again, all the other qualities remain the same. All information is found below in Table 4. For comparison, one minute of 4K video on this phone requires around 341.51 MB. Note: The S5 will only permit five minutes of recording in this mode. The 3GP container is a container designed for video use across 2G/3G wireless connnections. You’ll notice that the resolution is exceptionally small–this makes sense because the the MMS protocol and those videos would need to be small. The bitrate and framerate are significantly reduced. The video codec is h.263 which originated for videoconferencing. The audio is encoded at a low frequency and small bitrate in the AMR format which was designed for voice recording. The AMR_NB appendix stands for “narrow-band”. Information about these videos can be found below in Table 5. Watching the video is painful–the quality is poor. For those of us who used cellphones at the dawn of the era of MMS, we’ll find these video qualities quite familiar. I have gazed at small displays in 256 colors to watch videos that appear as good as this. Note: There is a 1MB cap on videos in this setting. This mode makes all of the videos appear at fractions of their regular speeds. The resolution for each of these is 1280×720 and they all live in the MP4 container with the h.264 video codec. However, there are no audio settings because audio is not recorded with these files. Notice the frame and bit rates. Even fast pans are turned into barely noticeable moves. My bigger concern is that clips using this setting will ultimately reduce the quality of the video product significantly. If you’re going to go for a slowing of the video, this is the one I recommend. It’s clear (visually) and builds some anticipation. Note that the frame and bitrates have increased to quality values. The settings are almost identical to the case where the video speed is cut in half. The video for the 1/4-speed and the 1/2-speed settings are much better than their 1/8-speed counterpart. This mode makes all of the videos appear at multiples of their regular speeds. The resolution for each of these is 1920×1080 (1080p) and they all live in the MP4 container with the h.264 video codec. Video is standard at 30 frames per second. Again, there are no audio settings because audio is not recorded with these files. Video quality among the modes remains relatively constant. Hence, I post the subsection for the speed rates, their tables of information, and a video sample for each. Speculation: Information is being removed from the normal 1080p@30fps mode to make these faster modes happen. The last setting for the rear-facing camera is “Smooth”. What this really is can be summed up as a framerate increase to almost 60 frames per second. Consequently, the bitrate increases (but not by double). Audio remains as all of the other standard or high-quality video. You can see this in the table below. You’ll note that the video (below) is clear and would work well for action scenes. Now we move to the front-facing (or “selfie”) camera. All that is required to record full HD video is a 2.0 MP quality camera and this phone has that capability. Again, let’s address these settings in order. For each of the videos in the “Normal” mode, audio remains the same (AAC-LC at 48khz and 256 kbps). Video is h.264 but at different resolutions and bitrates. The frame rate remains stable at around 29.7 fps. This is the 480p option. These settings are almost the same as those for the main camera. A VGA video sample follows. Again, this is the 720p option. The video bitrate and frame rates are, again, slightly lower than the main camera counterparts. The HD video sample is below for the selfie-cam. The same comparison rings true here, again. The video bit and frame rates are lower than their main camera counterparts. The front-facing camera full HD mode video sample follows. All in all, the video quality for this camera is good, too, with visible loss of detail in comparison to the primary camera. I use the selfie-camera often for recording myself in videos so I can see my positioning–a very cool use. In the 3GP container, again, this camera provides an almost identical experience to it’s main-camera brother. Again, at a fraction of a frame less per second. Video follows the table. Again, the MMS video is horrific. I see no reason why anyone should be using it. Ever. The rear camera is better. We all knew this before I even started. The 4K video is crisp and clear. I’d bet other cameras do it better, but this is pretty good. The MMS video is horrible. This mode is useless on either camera. If you’re still sending video this way, stop it. Use Snapchat or something else. For fast-motion videos, you have your choice. My guess is that the software is really just taking information and throwing it away to achieve a very fast look. For slow-motion videos, use caution. Frame rates and bitrates vary to achieve the look and effect. Be cautious so that your product doesn’t suffer. In general, a tripod adapter for smartphones and an external microphone turn the Samsung Galaxy S5 into a useful recording machine. These are the ones that I bought (affiliate links). I’ve had good success with the lavolier mic but the cord is short. I can say only positive things about the tripod adapter. So, why did I write all of this? The recording, the posting, the captioning, etc., took me hours? WHY? Because people who are even quasi-serious about video want to know if the tool they’re going to buy can meet their needs. Will the audio hack it? Will the video cut it? No one posts this information. Maybe someone will find this useful. I think the S5 can hack it. If you have any questions or would like offer some tips/tricks for use with the Samsung S5, please leave them in the comment sections below. Feel free to like or share this post and subscribe to the blog if you enjoyed the content!